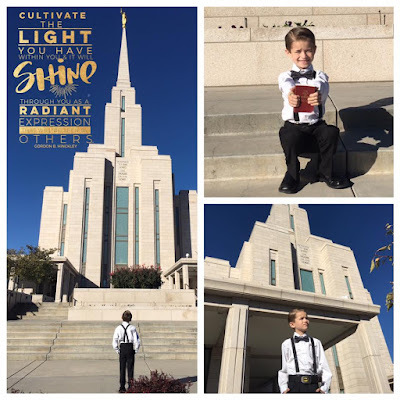 My son is eight and was just baptized a member of the church last Fall. He has taught me so much about repentance. My husband often works some nights and at times I put the kids to bed on my own. I usually spend a few minutes with each child and we talk about the day. Almost every night Cameron talks to me about the things he did wrong and he apologizes for the times he has misbehaved, he also talks to me about things he feels bad about, whether it be someone at school got hurt feelings or if he yelled at one of his sisters. Every night Cameron prays to our Heavenly Father and apologizes and asks for forgiveness. He is a true example of what we should all do every day. As we talk I always tell him that I forgive him and I will always love him. I know that our Father in Heaven and brother Jesus Christ do the same thing for us. 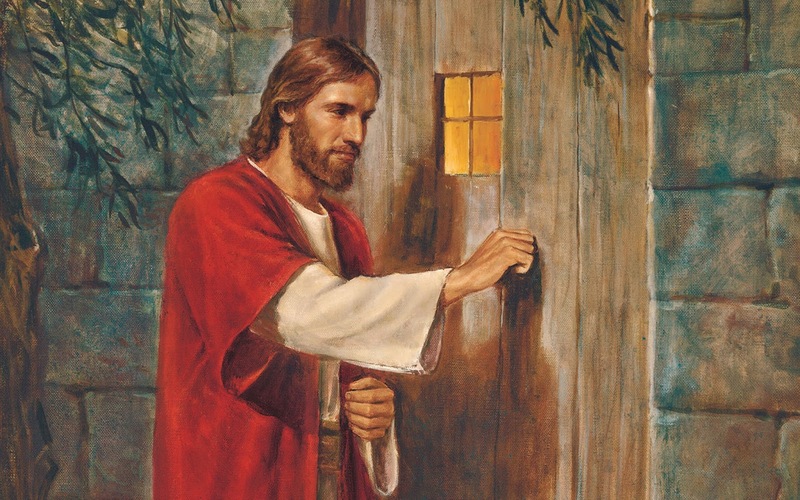 If any man hear my voice, and opens the door, I will come in to him." “Repentance is an indispensable counterpart to free agency, a means that imperfect erring humans can use to correct their course. “By following the rules of repentance and through the atonement of Christ, mistakes don’t count. The Lord agrees to remember no more. Because of the miraculous gift of forgiveness, transgressions are forgiven and forgotten. Men can be cleansed and return to the path of purpose and progress and peace.” Accompanied by the ordinance of baptism, repentance provides not only the initial cleansing but an ongoing remission of sins as well. It has far reaching eternal consequences, but also can generate peace in this life.” Unresolved sin results in “gnawing discontent which comes when men do not live up to the purpose of their creation. True repentance in some instances must encompass not only admission of the sin to one’s self but also to those who hold authority for church membership. Godly sorrow must be manifest as a next step, along with a seeking of forgiveness from the person wronged. The person must demonstrate that he is different by doing different and better things. When the proper conditions have been met, there will be a feeling of inner peace. You know, somehow, that you are forgiven, because the burden you have carried for and you know it is gone. Repentance is not a free gift but heart and action.” F. Burton Howard said. 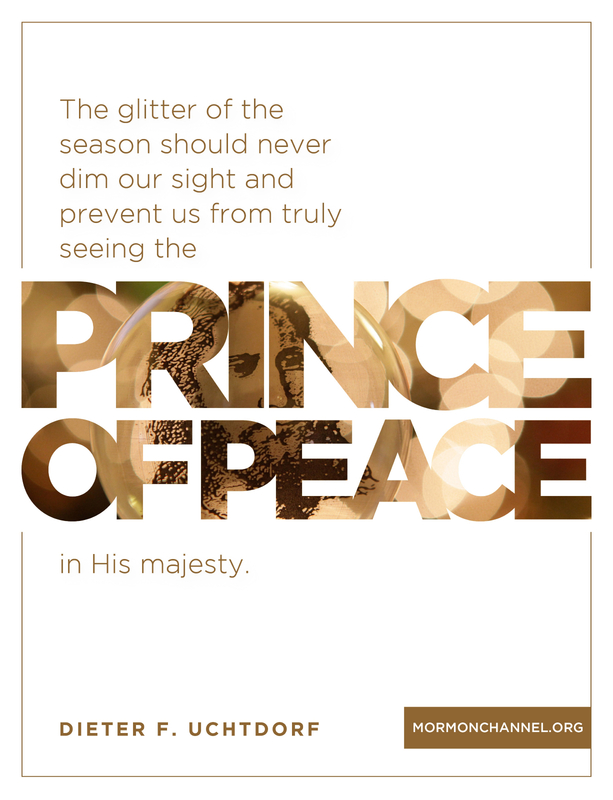 Today is Palm Sunday we have the opportunity to remember Him and accept Him as the Prince of Peace. Our Savior Jesus Christ suffered for our sins and died so that we may be forgiven and return to Thee. Click HERE to watch a video of Jesus Christ's entry into Jerusalem on the first Palm Sunday.